Come live the lifestyle of Grand Isle, La. Located at the southern most point of Hwy 1 on the beautiful Gulf of Mexico, Grand Isle offers a very relaxing and easy going atmosphere. Chelsea, can help you find the home, camp or real estate you are looking for. Or even if you just want to come experience the life style for a few days or weeks, there are plenty of rental camps and home available. Give Chelsea a call today. 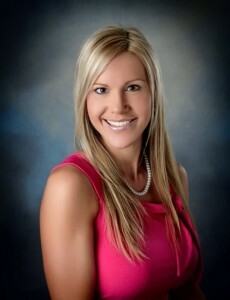 COASTAL REALTY GROUP www.grandislerentalcamps.com or call 985-787-3200\r\n\r\n3 Br, 3 Ba ? 17 beds, sleeps up to 22\r\n\r\nBeach Side ? 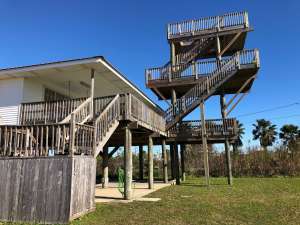 Look out tower\r\n\r\nDOUBLE THE FUN\r\n\r\nTo book click here: https://grandislerentalcamps.com/Double-the-Fun/\r\n\r\nCheck out our video: https://youtu.be/RENNxE2lanY\r\n\r\nThis rental is located beach side and has a view of the beach, Gulf of Mexico and the bay. It is an open kitchen/living/dining layout with plenty of dining seating and fully equipped kitchen. The living area has a flat screen TV. There is a partially covered upper deck facing the beach with swings and picnic tables to sit and relax. There is an upper look out tower with amazing views. Perfect for large family get together. Located less than a half mile from Bridgeside Marina.\r\n\r\nDownstairs:\r\n\r\nCovered area downstairs with fish cleaning table\r\n\r\nWith all of our rentals tenant is responsible fo filling propane bottles, filling can be done at Bridge Side Marina or Sand Dollar Marina\r\n\r\nWIFI included! !\r\n\r\nThere is no beach access at this property...it is a very short drive to the nearest beach access. Very close to Bridge Side Marina and is in a great location for rodeo and fishing enthusiast! !